Mirrors android device notifications from enabled devices to windows pc. Brynhildr (Brünnhilde) is a Windows Remote Desktop Control/Sharing Software Like TeamViewer and VNC. Prevent FastestFox for Chrome From tracking your searches. And Voila. No more tracking when clicking popup of selected text. Voice Notify is an app for android that read out whatever is written on notification bar whenever a notification is there. That is it will read to you new smses, gtalks, app notifications, alerts etc. Quite useful when you want to know about a notification without touching your phone. 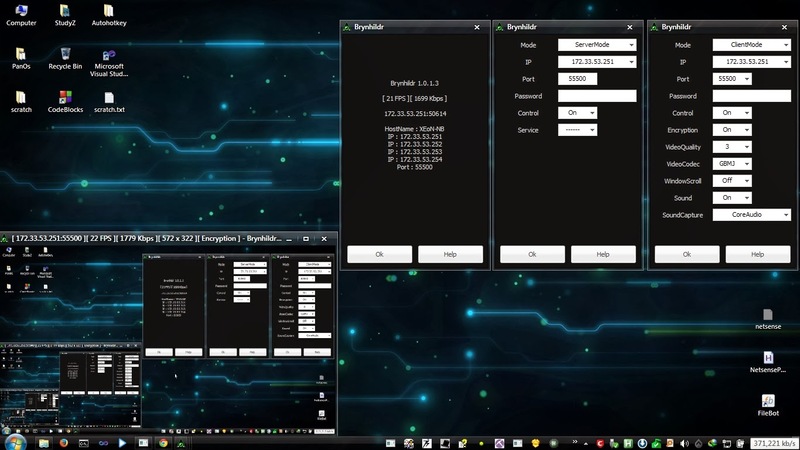 This Application lets you create WiFi Hotspot on supported hardware and software. All this in small size under a megabyte. It also has an inbuilt P2P Chat Client. This Application uses the HostedNetwork feature of Windows 7. Requires .NET 4.0 and Microsoft Virtual WiFi Miniport Adapter driver. And WiFi Adapter to Host the Network. Can be used to share internet to WiFi devices like Android Phones and Tablets. Cmd Line Arguments to autostart on execution, Set SSID and Password. Can be operated from TrayIcon. You have got 2 or more user accounts in windows 7. one of them is Admin and the other is Standard user. You normally use standard user account. and just put in the password when some app wants admin access. Now the problem is you run an app daily and it needs admin access. And you are annoyed of punching in the password everytime. Command or program to run. Now put the runn.exe and Elevate.exe in one folder. You have to run "AdmiN PaneL.msc" everyday as an admin. Its path is "C:\Users\User\Desktop\scratch\AdmiN PaneL.msc"
You put a copy of runn.exe and elevate.exe it the same path that is "C:\Users\User\Desktop\scratch\"
C:\Users\User\Desktop\scratch\runn.exe <adminusername> <adminpassword> "C:\Users\User\Desktop\scratch\Elevate.exe" "C:\Users\User\Desktop\scratch\AdmiN PaneL.msc"
Note the above point is one single line. Done. This shortcut will run "AdmiN PaneL.msc" using admin account and with elevated rights. C:\Users\User\Desktop\scratch\runn.exe <adminusername> <adminpassword> C:\Users\User\Desktop\scratch\Elevate.exe C:\Users\User\Desktop\scratch\devcn.exe restart "PCI\VEN_10EC&DEV_8136&SUBSYS_1426103C&REV_02"
Note This method is unsecure. Your password is shown in plain text. Hide these shortcuts if necessary.